Dr. Maric received her medical degree from the Universidad Iberoamericana (UNIBE), one of the highest-ranking medical universities in the Dominican Republic. She completed her residency in Internal Medicine in New York Methodist Hospital/Weill Cornell affiliate in New York City. 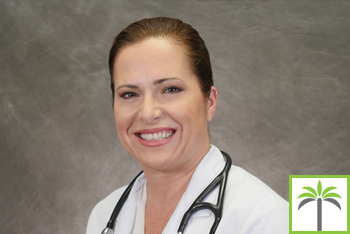 For the past 13 years, Dr. Maric has been working in South Florida in leadership positions ranging from primary and urgent care to hospitalist. Her professionalism and in-depth understanding of preventative, geriatric medicine and urgent care shows in every aspect of her work. Dr. Maric’s individual approach places emphasis on treating each patient with the attention to detail and respect they deserve, and ensuring they receive personalized urgent care, tailored to their specific needs and optimal health goals. In the past five years, Dr. Maric has also provided alternative, psychological and stress management, and anti-aging healthcare services to her clients. Dr. Maric is a proud member of AssociatesMD and its team of physicians, recognized for their dedication to urgent care and patients’ optimal health. As one of the leading providers of Urgent Care in Fort Lauderdale, Dr. Maric’s meticulous attention to detail, commitment to individualized care and passion for helping others has led to improved overall health and patient satisfaction.